To DIY or Not: When Should I Call a Mechanic? 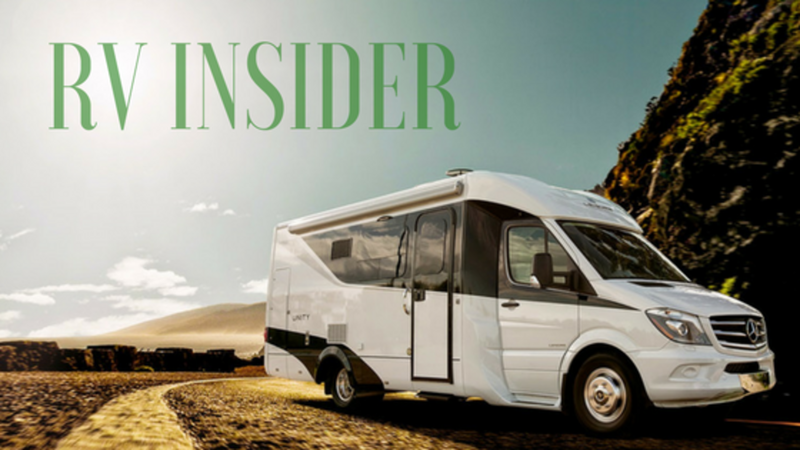 Welcome to RV Trader Nation! Do You Have the Updated RV Trader App? We all know that RVing is a great way to travel and there are endless benefits to having a home on wheels. From family bonding to enjoying the great outdoors - the RV lifestyle is one of adventure and fun. We also know that the unexpected can happen while out on the road, and it’s important to be prepared. 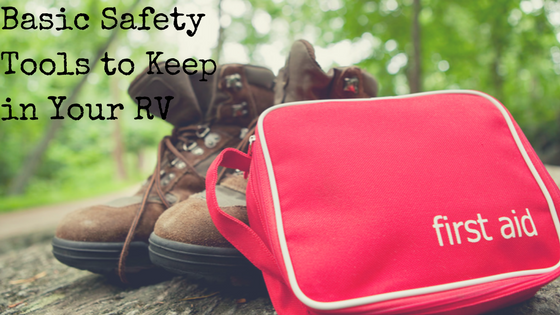 Safety while RVing should be a top priority for every family, and if you keep these basic safety tools on hand, you should be ready if you’re ever caught in a sticky situation. Fire Extinguisher - An RV is essentially a home you can take with you, which means they have more fire-related dangers than an average automobile. Having a fire extinguisher onboard is crucial and will be your first defense should a fire start. Make sure to keep your fire extinguisher in an easy to reach location, and inspect it regularly before traveling to ensure that it’s in good working condition. First Aid Kit - This may seem like a no-brainer, but we couldn’t leave a basic first aid kit off of our list. You can either buy a prepackaged first aid kit or you can customize your own. Every family is different so before you hit the road, determine what items should be included in your kit to fit your specific needs. Here are a few basic items you can include: BAND-AIDs® (all sizes), scissors, tweezers, latex gloves, thermometer, antibiotic ointment, gauze, cold pack, heat pack, adhesive tape, general medication (pain relief, allergy relief, etc. ), antiseptic wipes, ace bandage, aloe vera, flashlight, sunscreen, bug repellent, and hand sanitizer. Roadside Emergency Kit - Being out on the road is just one of the many benefits of RVing, but as any seasoned traveler knows, accidents unfortunately happen. From getting into a slight fender bender to having a flat tire - it’s important to always be ready. Having a roadside emergency kit in your RV can save you time and trouble when you need to pull over. There are tons of kits on the market that include items like: flares, flashlights, batteries, jumper cables, and more. Tire Pressure Monitoring System - Tires are the foundation of an RV, so it’s important to keep them in top condition. There are many tire pressure monitoring systems on the market, and these systems are crucial to make sure your RV tires are at their proper pressure. The last thing you want is a tire blowout to occur while driving. A blowout is dangerous and can not only damage your RV, but it has the potential to cause accidents with other vehicles. Avoid the stress and gain peace of mind by getting a reliable tire pressure monitoring system. Basic Tool Kit - When you are far from home and a minor mechanical issue happens, what do you do? If you have an RV tool kit onboard you might be able to avoid going to a mechanic or calling a roadside assistance service (though we do recommend being a member of one). We suggest keeping a basic tool kit in your RV including a few basic items such as: a drill, drill bit set, hammer, socket set, wrench set, screwdriver set, pliers, electrical tape, etc. SPOT Tracking Device - As we mentioned earlier, RVing gives many families the opportunity to unplug and simply enjoy the great outdoors. If you are ever in an emergency situation where you do not have cell phone access/service you can use SPOT. This device uses satellite technology to provide location-based messaging and emergency notification technology so you can communicate from remote locations. We hope that you continue to stay safe on the road, and have confidence that you’ll be able to tackle a variety of safety issues that may arise with these tools. Check out our Pinterest board highlighting these tools and be sure to leave us a comment of some of the go-to safety tools that you keep in your RV! How do you obtain SPOT? - Advertisements or solicitations for products. - Threats, harassment, obscene language, as well as comments that are degrading to others on the basis of race, ethnicity, and religion. - Links to off-topic sites that are posted only to solicit traffic. Comments that are deemed to be inappropriate will be deleted without notification. Diesel vs Gas: Which one Should You Choose for your RV? Update on the Big Outdoor Adventure Giveaway: WE HAVE A WINNER!